To the Cordillera People’s Alliance and our partner, Center for Development Programs in the Cordillera, Inc.
We want to extend our warmest greeting of solidarity to all the Cordillera peoples in the celebration of the Cordillera Day. For 33 years now, Cordillera Day has continued to become the biggest annual solidarity gathering of the indigenous peoples in Cordillera together with friends and advocates defending and promoting the rights of the indigenous peoples in the Philippines. It is a deep honor for us here in Belgium to become part of the international solidarity partners of the Cordillera peoples, together with those in Thailand, Japan, Canada, Hongkong, Macau and Taiwan, in the commemoration of the struggles of the Cordillera peoples for self-determination inspired by the martyrdom of Ama Macliing Dulag. Throughout Solidagro’s twenty-three years of partnership with CDPC and the Belgian Province of East Flanders in carrying out socio-economic development programs in the Cordillera, we have witnessed how projects undertaken by people’s organizations have uplifted the lives of the indigenous peoples and affirmed their right to pursue their economic, social and cultural development. During our visit there last year, we were overwhelmed by the display not only of the people’s warm welcome and appreciation but also, and more importantly, the strength of the organizations and the depth of cooperation among the community members in working towards the success of their projects. However, we are also very much concerned about the continuing problems of militarization and human rights violations in our program communities. We have personally witnessed how these problems have made development work in the communities difficult to do. We are also aware of your continued resistance against development aggression such as large-scale mining and widespread land grabbing for so-called renewable energy projects; hence, the attempts to repress your struggle to defend your ancestral lands. This year’s theme, Cordillera People’s Caravan for Self-Determination and Just Peace, then is a tribute for all your sacrifices, victories, and aspirations as you continue to strengthen the struggles of indigenous peoples for the defense of ancestral land, promotion of just and lasting peace in the Cordillera, and the forging of solidarity among indigenous peoples and advocates in the country and overseas. 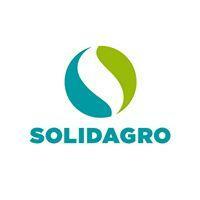 Solidagro will continue to stand with you in these endeavours.